Last year the Kids’ Race sponsored by Norco Bicycles attracted over 200 kids and was a highlight of the event. Fans lined the route to cheer on the young riders. Ages 3 to 5 will race 100m at 6 pm. Ages 6 to 8 will race one lap at 6:10 pm. Ages 9 to 12 will race two laps at 6:25 pm. Register for free starting June 1 at experienceit.ca (3 to 6 yr.-use barcode 29333, 6 to 8 yr.-use 29334, 9 to 12 yr.-use 29335). Advance registration is recommended, although riders may register on race day if the event is not full. Participants must provide their own bikes and helmets. All participants will receive a race pin and a snack sponsored by McDonalds Tygo. Family friendly activities are planned in the free Kids’ Zone from 5:00 to 9:00 p.m. on McAllister Ave. The Norco Bicycles Kids Zone features the Playzone Mini Grand Prix race track, Little Sprockets bike ramps, the art bike and Circus West performers. 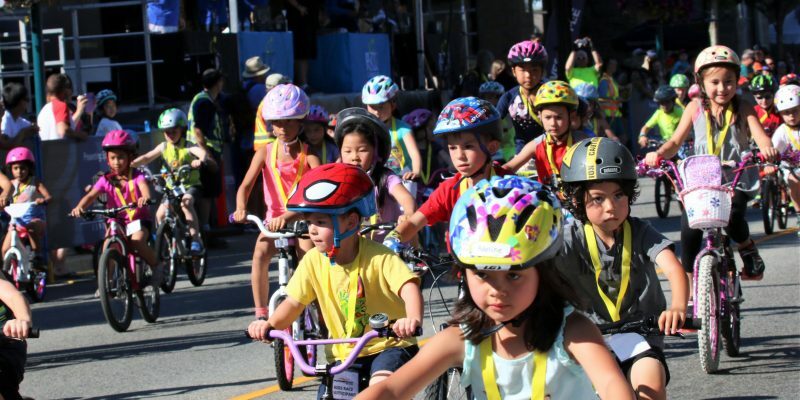 The Kids’ Race will be part of an evening of sport, live entertainment, family activities and more on July 13 in downtown Port Coquitlam, where thousands of spectators and riding enthusiasts are expected to gather. 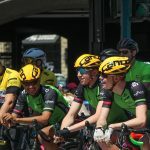 New this year, the event starts later and includes the excitement of night racing, a first for the BC Superweek series. Professional races are scheduled to begin at 2:30 p.m. followed by the Corporate Challenge for business teams at 4:15 p.m., the Kids’ Race at 6:00 p.m. and a Youth Race at 7:00 p.m. Feature pro races will start at 7:50 p.m., and awards will be handed out on the stage at 10:40 p.m. There will also be live entertainment from 4-11:00 p.m. sponsored by The Giggle Dam Theatre, a beer garden, a PoCo Grand Prix Expo tradeshow, and a VIP Experience tent sponsored by Phoenix Truck and Crane featuring prime viewing, complimentary food and beverages, viewing screens and more for sponsors. Participating corporate teams of four can compete in recreational or competitive races along the same 1.3-kilometre course as the pros. 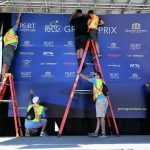 The Corporate Challenge sponsored by TELUS will take place from 4:15 to 6:00 p.m.
All participants will receive a free cycling hat and socks, and be hosted in the exclusive VIP area featuring food by Earls Restaurant, refreshments by Mahony and Sons and prime viewing of the professional race. Register at pocograndprix.ca/corporatechallenge. Businesses of any size can also get involved, with sponsorship opportunities ranging from display space in the PoCo Grand Prix to exclusive naming rights. 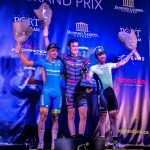 More information about the event and opportunities to be involved can be found at pocograndprix.ca.